B-Stock as the box has been opened but all works fine & comes with warranty. The popular Beatmix series is now also available in a complete black edition. 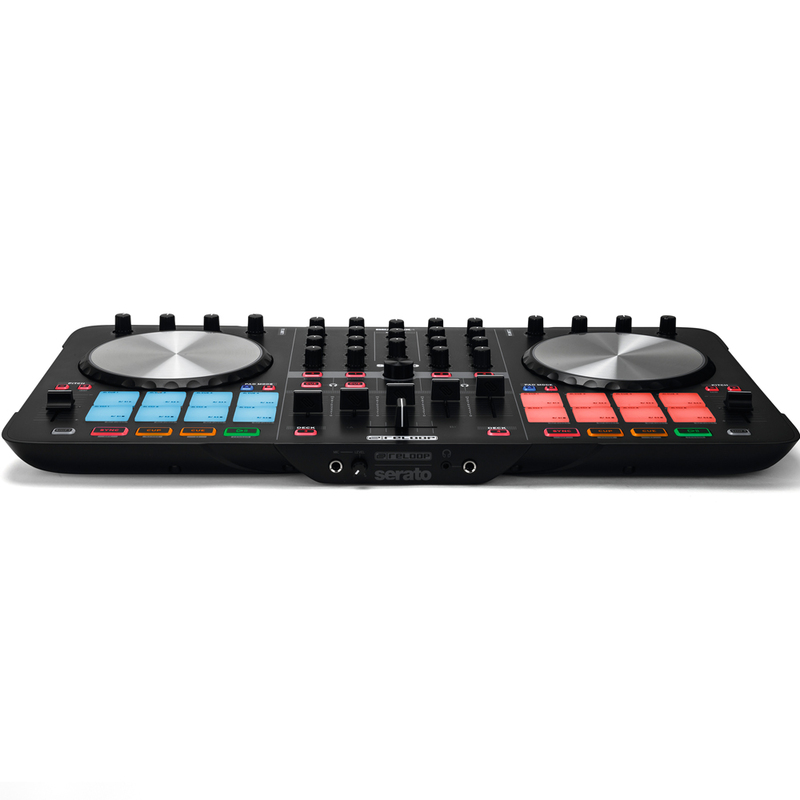 The Reloop Beatmix 4 is a performance-oriented 4-channel pad controller for Serato. 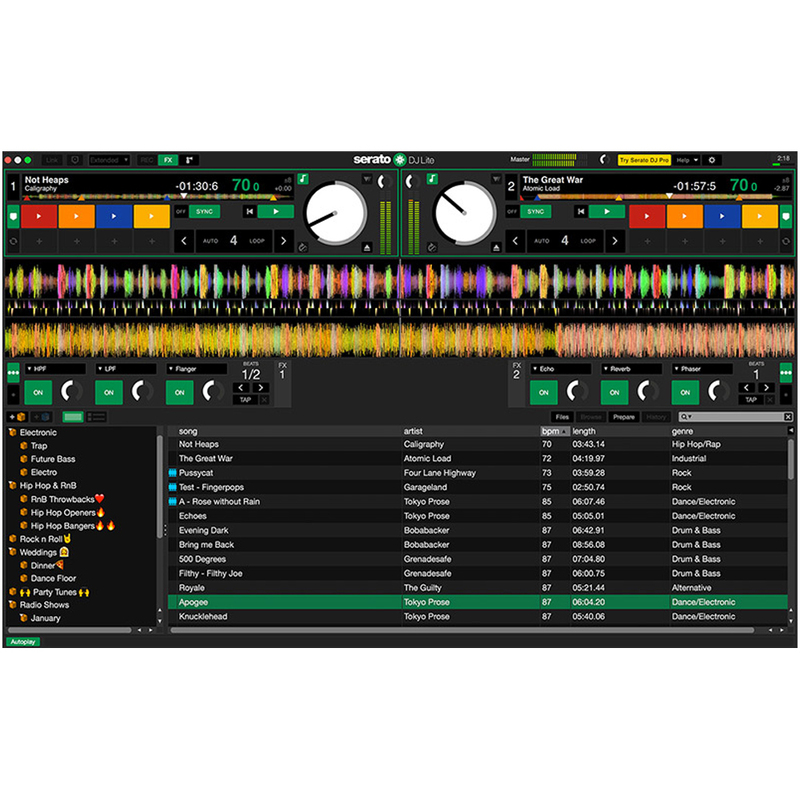 Both companies have teamed up, to develop a 'fun to use' 4-Channel controller for the worldwide popular DJ software Serato to work seamlessly plug 'n' play: Connect and start mixing. 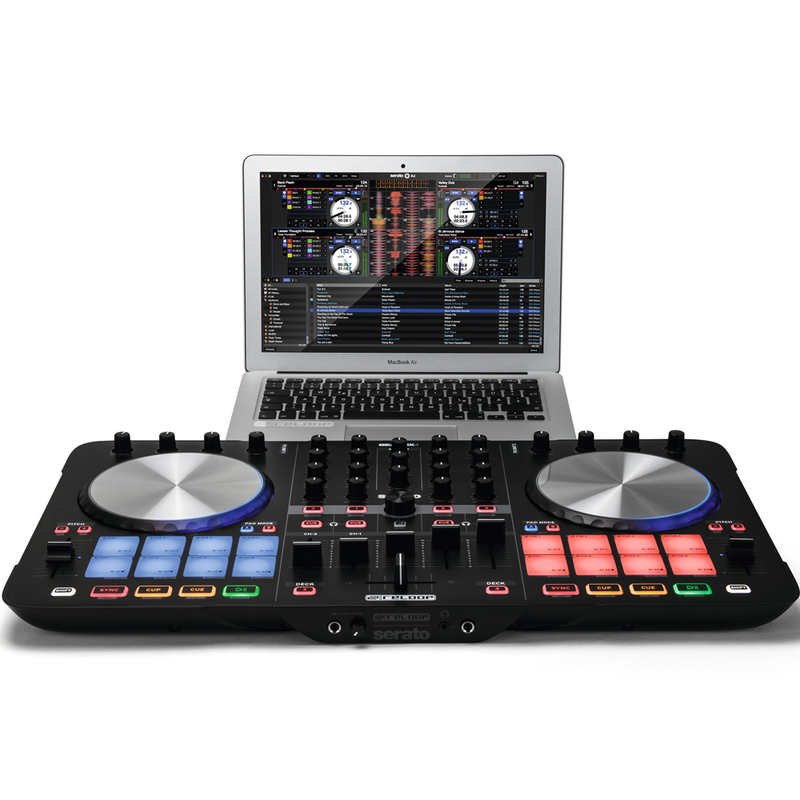 The Beatmix 4 comes with the 4-deck version of SERATO DJ Lite out of the box. 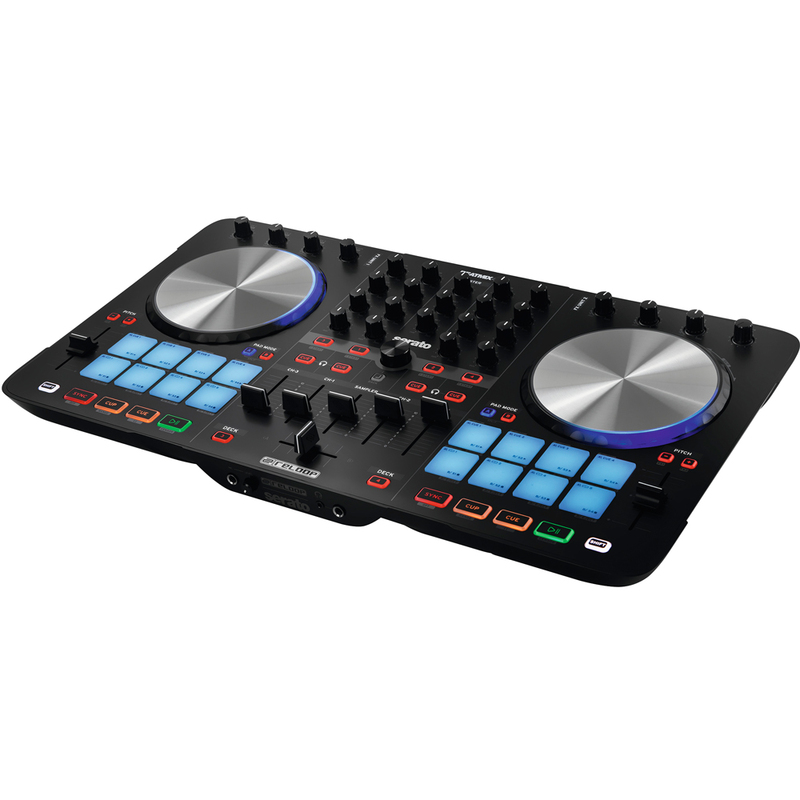 Beatmix 4 offers an ergonomically designed 4-channel mixer layout, optimized for the club allowing you to work intuitively: Dedicated equalizer and gain dials, high-quality line-faders, an extremely smooth-running crossfader, 16 multi-colour drum pads, as well as two extensive FX units are the foundation for your creativity. Ultra flat, touch-sensitive jog wheels with aluminium platters and a diameter of 14.4 cm guarantee selectively precise beat matching, fast searching within tracks, and an authentic vinyl feel. Furthermore, the implemented LED technology on the surface and border of the jog wheels always show you the virtual needle position (Serato DJ only). 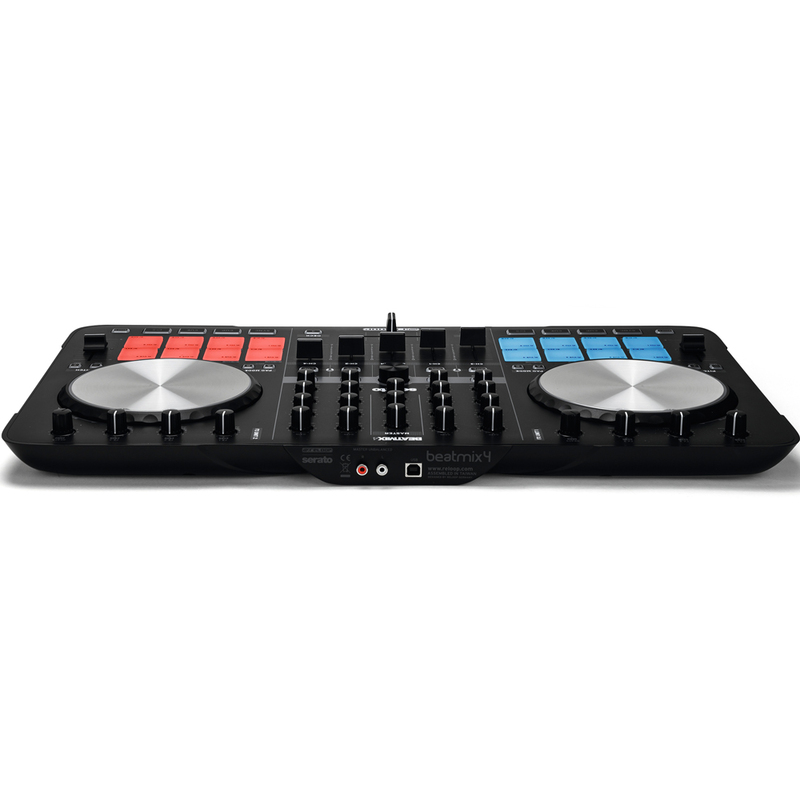 The rubberised pad section is the place for trigger action and creative ideas in the mix: The 3 cm large drum pads are used to control cue points, trigger loops, select various loop lengths, and also trigger samples. Any danger of confusion is ruled out: The colour-coded trigger pads give visual feedback regarding status and mode selection – this way you will always be in control, especially in dark surroundings. A further special feature is the sophisticated Serato sampler control: Besides a dedicated volume fader, it is possible to start and stop samples via the pad section. Split Mode offers the possibility of a combined work flow as you can control both your cue points and trigger your samples at the same time. The high-quality studio FX by iZotope can be creatively manipulated within Serato, thanks to two separate FX units, each one equipped with three rotaries and an endless encoder. In addition to the FX selection and the combination of three FX simultaneously, the Beatmix 4 also allows you to adjust the FX quantization. The integrated audio interface offers all necessary connections that are needed for your mix: Two headphone connections (3.5 and 6.3 mm) for monitoring, one mic input with separate volume control, and an RCA output for connecting your speakers. USB bus powered: No power supply required!